Boro Batch says about Purple Drank "Purple Drank is a crazy colour that shifts thrice because it's so nice. When you've got it in natural light it's a deep grey blue. 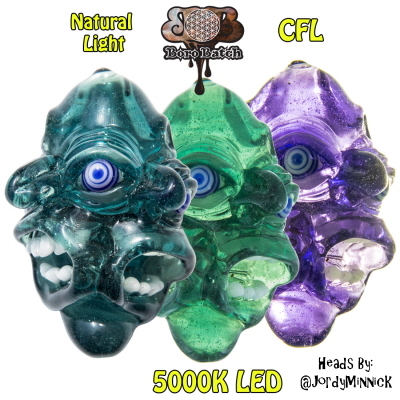 When you've got it under 5000k LEDs it will be an almost emerald green and under a warm CFL you'll get a royal purple that is almost as dark as an amethyst. Purple Drank is highly workable and can tolerate some abuse"